Do you want to catch up with the India’s young music maestros anytime on your Windows Phone by watching the Indian Idol Junior program? Here we go. 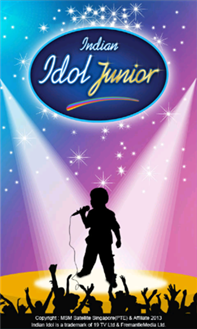 Multi-Screen Media Pvt Ltd. has launched the Indian Idol Junior App on Windows Phone which is available for free of cost for download from Windows Phone store. Indian Idol Junior is one of the most popular music reality show by Sony Entertainment and by bringing it to the Windows Phone platform, it will make sure that people don’t miss out on the program. Windows Phone users can now experience the Indian Idol Junior on their phone, play games and participate in various activities, ask questions and get answers from the judges, hosts, contestants etc.